Nowadays more and more people are chasing personality, a typical phenomenon is the smart phone case. When I walk in the street, I can hardly see two same cases on people’s phones. 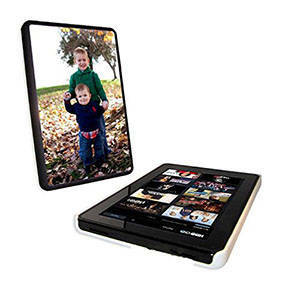 We can easily find a website or seller to customize a case for iPhone and iPad, but as a relative minor market, there are fewer sellers provide such a service for Kindle, no matter the E-Ink Kindle like Kindle Paperwhite, Kindle Voyage, or Kindle Fire tablet like Kindle Fire HDX, Kindle Fire HD 8. 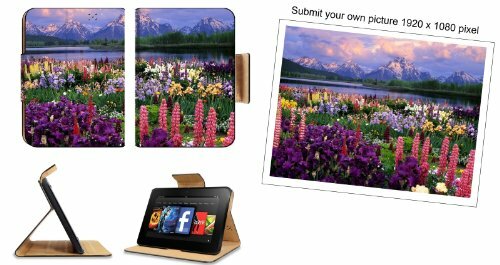 Today I encountered such a question, one friend of mine asked me where to make a customized case for her Kindle Fire tablet, so I searched for her and compiled a list of Amazon sellers who provide Kindle case customization services. As there are few sellers doing this, so I put Kindle eReader and Kindle Fire tablet together in one post, of course, I will state the suited model clearly. This store only provides customization service for Kindle Fire HD 7, the previous generation – 3rd. The case is made of high quality PU leather, integrates the magnetic wakeup feature. Before placing an order, you need to send the photo (at least 1920*1080 pixel) to the seller with message, then the seller will give you a sample image, the case only begin to make until you are satisfied with the sample image. In fact, this is a “back” rather than a “case”. It only covers the back side while completely expose the screen. 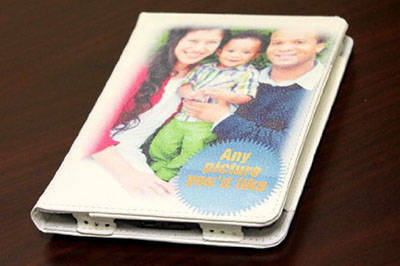 The case’s dimension is 7.1″ x 4.4″ and the material is hard plastic. If you are interested in such a back, you can send photo the seller: click: “Your Account” – “Your Order” – “Contact Seller” – “Product Customization”, then attach and send photos. This case support 6-inch Kindle, that includes Kindle Basic, Kindle Touch, Kindle Paperwhite, but not Kindle Voyage. It also supports Kindle Fire, Kindle Fire HD, Kindle Fire HDX, Kindle Fire HD 8.9, Kindle Fire HDX 8.9. This seller has his own official site, so you can also go to their website for customization. And please note you need to send them the photo by email, not send message in Amazon. That’s all the Amazon sellers I can find which can customize a Kindle & Kindle Fire case, if you have more recommendations, please let me know in the comment.